There's nothing better than a hooded sweatshirt to keep you cozy in the cooler months. Men's shirts, while lightweight, aren't capable of keeping you warm. And outdoor coats can be a heavy burden when you're trying to get work done. That's why men's sweatshirts are ... (see full details) (see specifications) #TB0A1HVY015. There's nothing better than a hooded sweatshirt to keep you cozy in the cooler months. Men's shirts, while lightweight, aren't capable of keeping you warm. And outdoor coats can be a heavy burden when you're trying to get work done. That's why men's sweatshirts are perfect; they offer the best of both worlds, and this Timberland PRO Men's TB0A1HVY 015 Black Hood Honcho Sweatshirt is no exception. Better yet, it’s made for working people like you. To keep you comfy and warm in cold weather without being overbearing in weight, this men's black sweatshirt is designed from the ideal combination of fabrics. The durable sweatshirt is made from 9.3 ounces of cotton and polyester. The cotton makes up 80% of the combination, and it gives the Timberland PRO hood Honcho sweatshirt the softness and warmth you want. Because 20% of the composition is polyester, you won't have to worry about being bogged down by heavy fabric. The polyester and cotton duo gives the men's sweatshirt a medium weight, a comfortable weight to keep you warm and keep you working. The cotton and polyester blend creates a soft, warm, lightweight fleece, and when it's paired with other characteristics in the design, it makes this men's work sweatshirt you new favorite workwear. This has raglan sleeves, ribbed cuffs, and a ribbed bottom hem. They offer a comfortable fit to the hooded sweatshirt. Plus, this men's mid-weight sweatshirt has functionalities everyone wants. No one wants to wear a men's hoodie without a hood (that'd be odd) or a front pouch, and Timberland knows it. 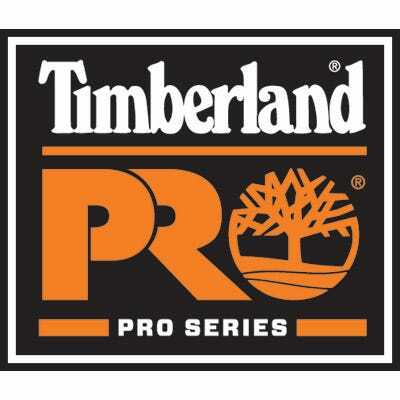 That's why the Timberland PRO workwear is built with an adjustable three-piece hood and an oversized front pouch pocket. In addition, this is made with a hidden cell phone insert for safekeeping of your mobile device. Last but certainly not least, this men's hooded sweatshirt is designed with a screen-printed chest logo. From the moment you put it on, you'll be representing the crafters of an immensely comfortable and well-made product. Like most hooded sweatshirts, this Timberland PRO Men's TB0A1HVY 015 Black Hood Honcho Sweatshirt is soft and lightweight yet capable of keeping you warm. But unlike most designs, this one is made for working. Get it here at Working Person’s Store today. This Timberland PRO sweatshirt is the perfect weight. Not too light, not too heavy, it makes for the perfect garment to wear when you don't quite need a jacket but need something heavier than a long sleeve shirt. This is comfortable and perfect for football games or hanging out outside. There's lots of room in that kangaroo pouch! Timberland PRO Workwear: Men's TB0A1HVY 015 Black Hood Honcho Sweatshirt is being added to your cart.